Makes and Models/Harward Media’s Bruno Carneiro (BRA), Derek Wolthoff( USA) and Jason Harward (USA). Makes and Models/Harward Media’s Bruno Carneiro (BRA), Derek Wolthoff( USA) and Jason Harward (USA). 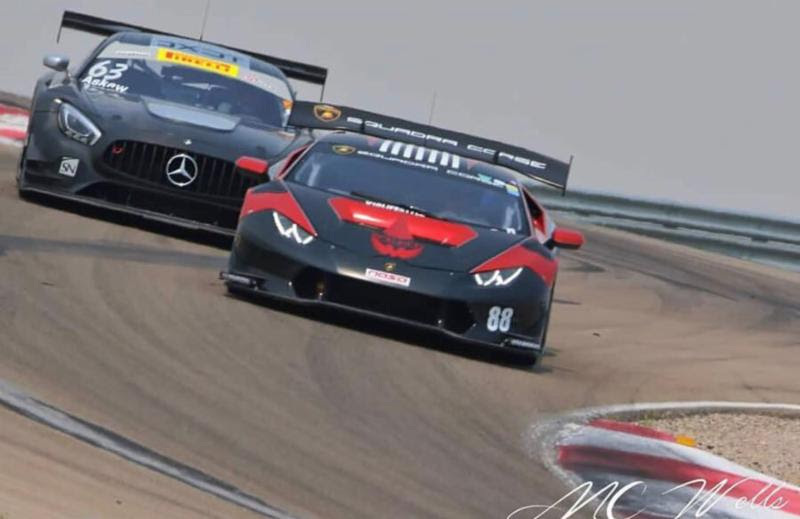 Class and overall winners of the 2018 NASA/WERC Utah 6 HOUR Enduro Makes and Models/Harward Media is the FIRST Utah based team to win the Enduro. 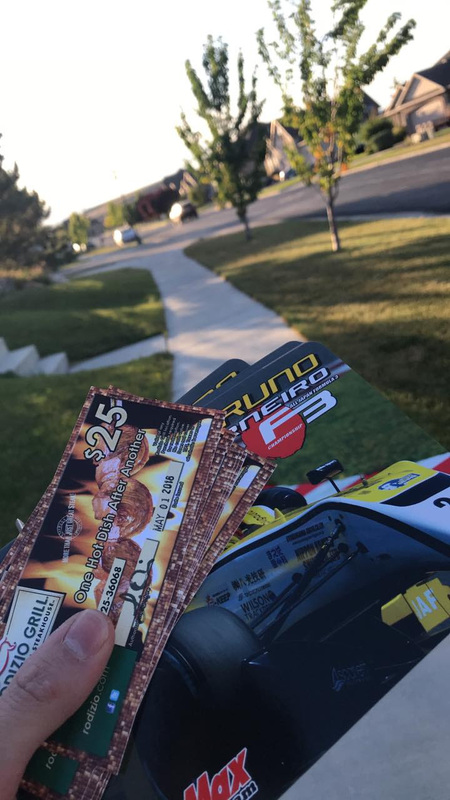 When Derek Wothoff aligned Makes and Models/Harward Media’s 620hp Lamborghini Super Trofeo V10, on the front row of the grid for the start of the NASA/WERC Utah 6 Hour Enduro, history was about to be made. Starting in P2, Wolthoff made a brilliant start and took the lead of the race. That was 6pm. 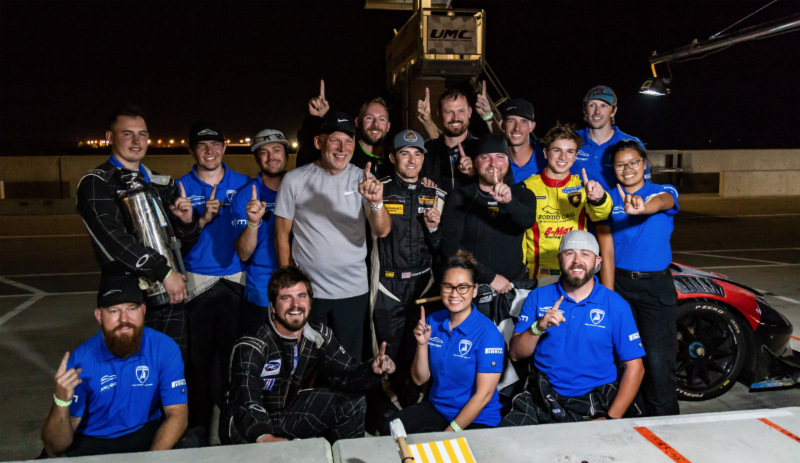 By Midnight and under the bright lights of fireworks and headlights, his team became the first Utah team to win the NASA/WERC Enduro Wolthoff drove the first stint of the race, opening a sizable lead over his main competitors, Porsche, Audi and BMW setting very fast lap times. At 7:12pm he entered the pits for the first of 4 scheduled pit stops and to hand the car to 19 year old Bruno Carneiro. After a very quick and perfectly executed fuel and driver change (no tire change), Bruno Carneiro got on track for his 2 hour stint (7:14pm to 9:20pm) with a scheduled stop at 8:15pm. 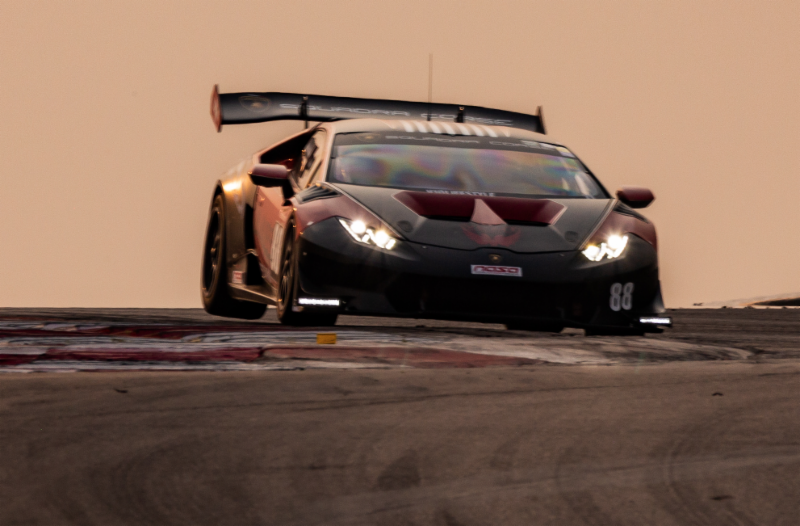 On his second lap in the car with the a set of used hard compound Pirelli tires, Carneiro went purple on all sectors and set the new track record for the Enduro on the ES Class with a 1:54:126, previously set by a GMG’s Audi R8 GT3 with a 1:54:514 in 2015. 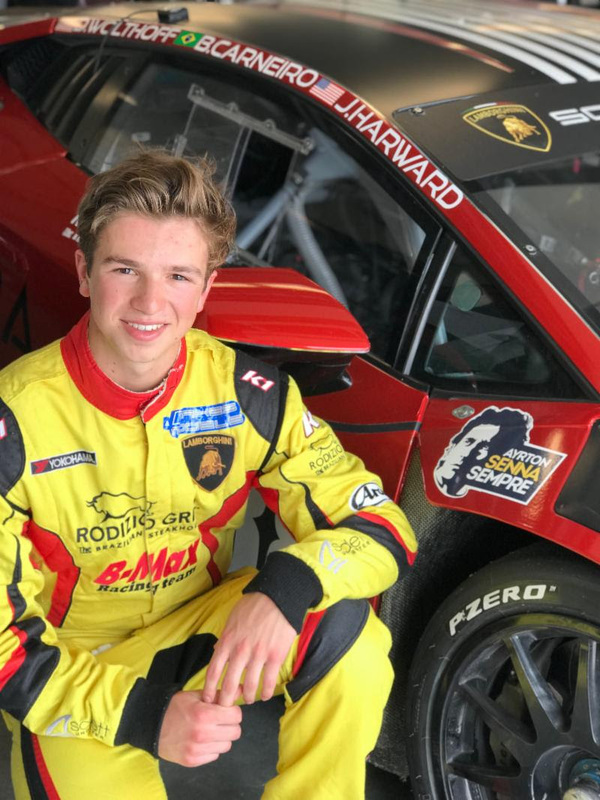 The team asked Carneiro to target his laps at 1:55’s and with other teams facing mechanical problems and others with a 3 stop strategy, the young racer kept imposing a very strong pace, opening a 3 lap advantage. Ricky Bobby you ARE on Fire! At 8:15pm and with the night setting in, Carneiro pulled into the pit exit for refueling. No tires again. The amazing Pirelli tires were still in great shape after many laps. That is when something unexpected happened! A tiny drop of fuel touched a sizzling part of the car, and the whole thing was engulfed by flames in seconds. 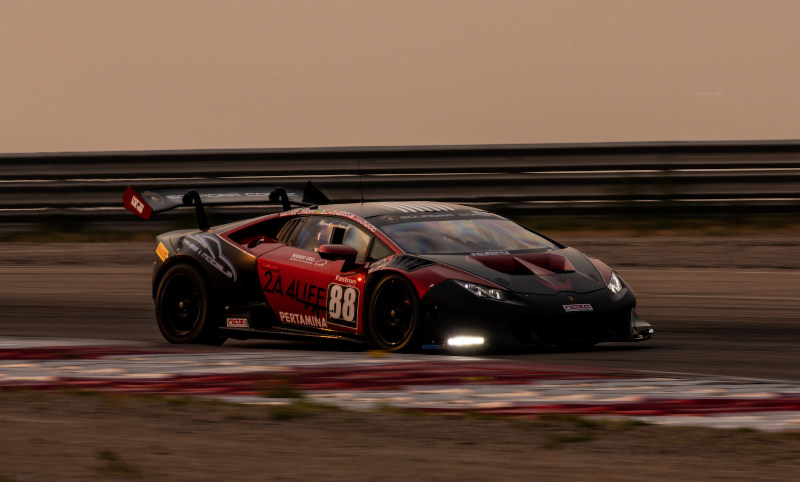 The Makes and Models/Harward Media team was quickly in action, got Bruno out of the car and with the fantastic work of the Utah Motorsports Campus/NASA fire crew, things got under control very quickly. You can see the action here: CLICK HERE Carneiro went back in the car and got back into his rhythm. As it got darker and darker, after 6 laps into his 2nd stint, he radioed the team’s engineer Tigh Isaac to say that he could not see anything on track. Isaac quickly replied by asking if the high beams were on. Bruno’s reply was a simple: “-Oh!” Turns out, after the action in the pits, he forgot to turn the car’s headlights on, and was driving only with the halogen marker lights that made his car visible to the other drivers, but not capable of illuminating the track well. Still, his lap times were on the 1:56’s. Blindingly fast dear Batman! The team decided to keep Carneiro in the car for an additional hour and by 10:25pm he peeled into the pits for driver change, tire change and re-fuel. Jason Harward jumped in the car and started his stint that would take him to the checkered flag with a quick stop for gas. Jason kept the lead pushing hard. 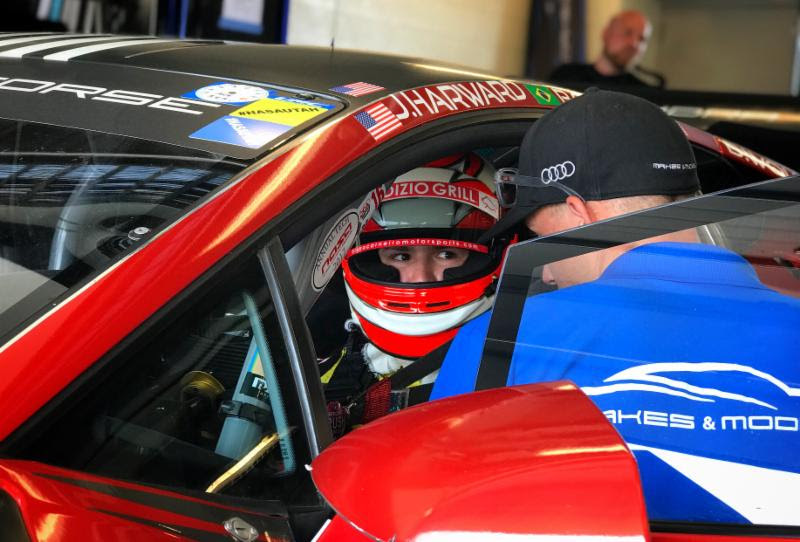 At around 11:40, rain started to fall but that did not bother Harward, who even with slick tires, kept a strong pace that gave the Makes and Models/Harward Team a remarkable win. “What a fantastic result! 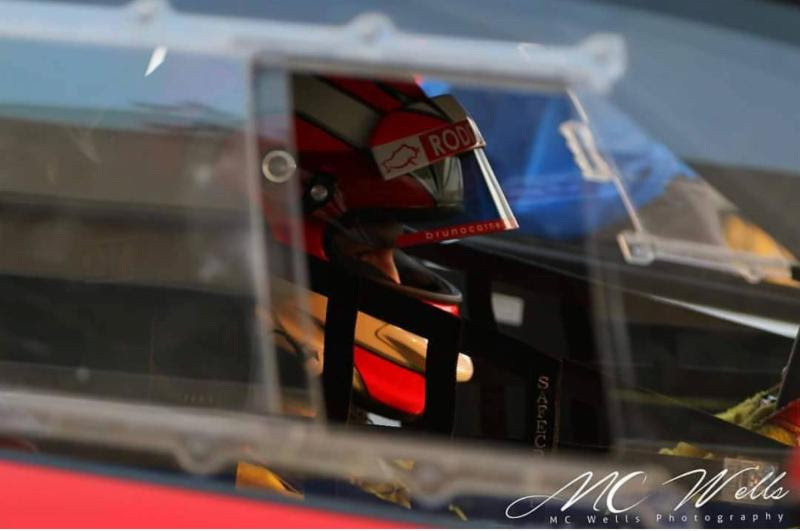 ” -said Bruno Carneiro “It was one of my favorite race weekends of my career. The entire Makes and Models/Harward Media Team was perfect from each person in the crew to the drivers. 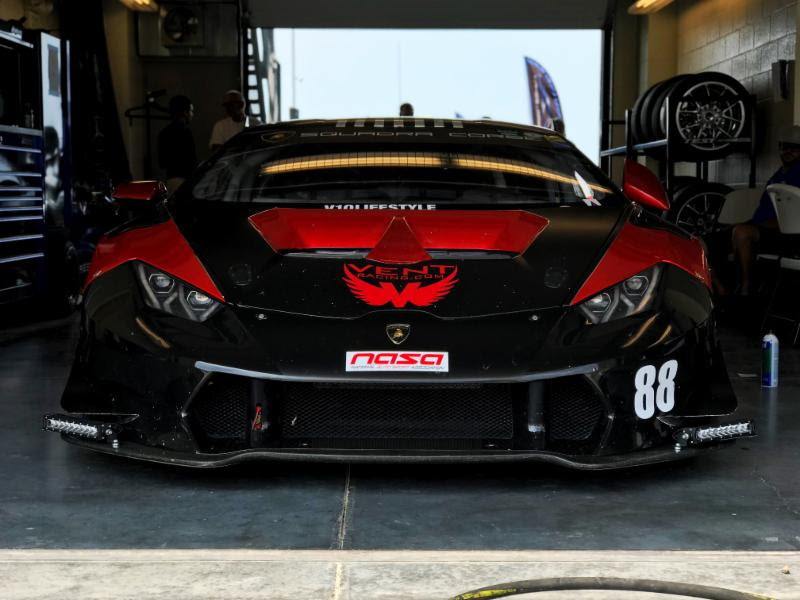 This Lamborghini Super Trofeo not only has the coolest sound in the world, but also is an awesome car to drive on the limit. 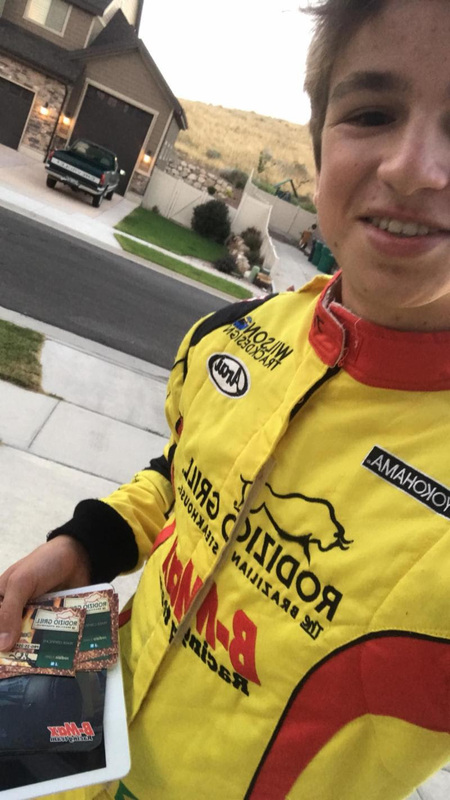 I need to thank Derek Wolthoff, Jason Harward, Toby and Lisa Crawford, Tigh Isaac, Kelsey, Kevin, Anthony, Brendon, Cameron, each member of this great team, the fire crew at UMC/NASA and all my friends that came to support us, from my family, Rodizio Grill family to my dear friends of Karting. 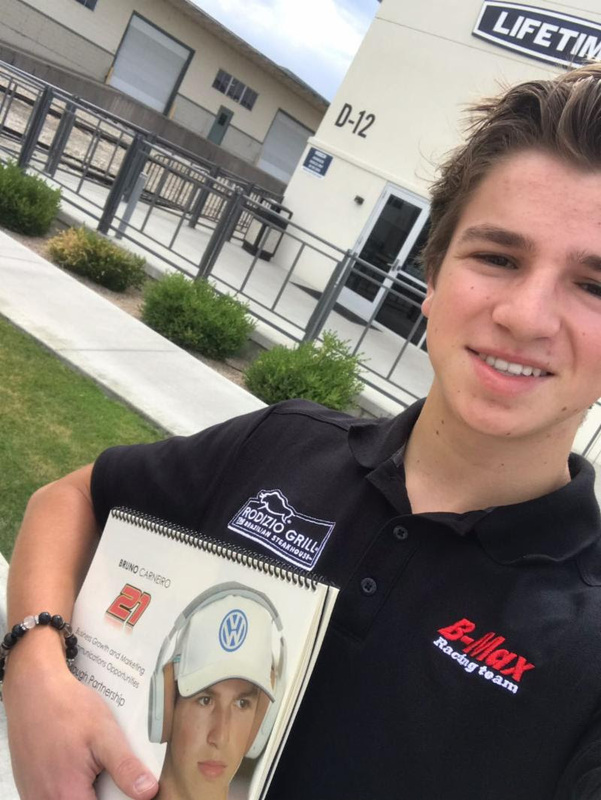 I was very proud to honor my supporters and partners Rodizio Grill, Sonoma Realty Group, Instituto Ayrton Senna, FFKR Architects, K1 Racegear, ARAI Helmet Japan, ZULZ, B-MAX Racing, BASH Agency, Quick Comunicação, and everyone that have been sending me motivating words in this difficult time in my career! To all of you…We are VICTORIOUS! !” – concluded Carneiro On Sunday, Carneiro visited FOX13 Channel’s studios and was interviewed by Rebecca Cade on the SPORTS PAGE show. Click on the image bellow to watch. Bruno is also running a GoFundMe campaign that already reached US$ 3,300 in only 3 weeks with donations coming from many countries around the world, sometimes with amounts as low as $5.